Easy shipping with Freightera’s 7 Cs. How do we do that? Thank you ~ Thank you, Dear Customers! You’ll ❤ FREIGHTERA Cargo Insurance + New Rates! Rockford, IL to Minooka, IL for $92, et al. Freightera Featured in Inc. Magazine Among Socially Responsible Companies, Wins 2017 W3 Design Award! Transport News INTL has just selected Freightera as “Best Online Freight Marketplace – North America” in their Logistics, Warehouse & Supply Chain Awards 2017! Eric Beckwitt: Vancouver’s #2 most likable CEO! Thank you for your Reviews! Happy Easter & Happy Spring! Earlier this month Freightera was honored to be featured in the State of Vancouver’s Green Economy 2018 report by Vancouver Economic Commission (VEC). We were included with the Green Mobility cohort and among Who to Watch in the sector. The report was published and announced at the opening of the Sustainable Brands Conference held in Vancouver’s Convention Centre. Please see Freightera, North America’s first low emissions freight marketplace in Green Mobility section and read the whole report that we included here. 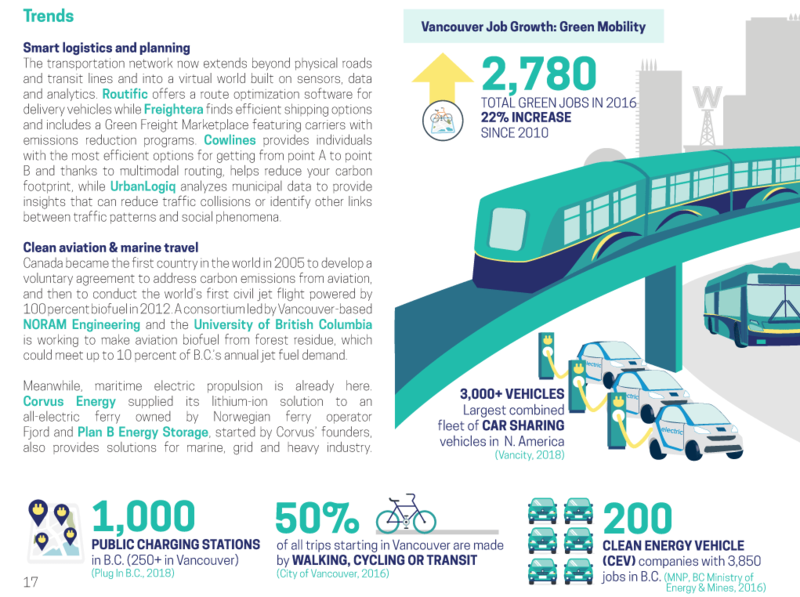 It covers trends, analysis, companies to watch and is filled with impressive facts and numbers showing healthy growth and excitement in Vancouver’s Green economy. Zhenya Beck is the Director of Marketing and Customer Experience at Freightera.